The two latest additions to the award-winning and best-selling Classic Vibe series – the Classic Vibe Telecaster Custom and Classic Vibe Telecaster Thinline guitars – are based on a pair of classic Telecaster designs from the 1960s that were prized among rock, blues, country and jazz players alike. The Classic Vibe Telecaster Custom is a beautiful Three-color Sunburst model with a double-bound alder body, vintage-tint gloss maple neck with 9.5″-radius rosewood fingerboard and 21 medium jumbo frets, custom alnico V single-coil pickups, mint-green pickguard, three-saddle bridge with threaded saddles and vintage-style tuners. The Classic Vibe Telecaster Thinline boasts a classic semi-hollow design in a rich natural-finish mahogany body with an f-hole and white pearloid pickguard. Other features include a gloss maple neck with 9.5″-radius rosewood fingerboard and 21 medium jumbo frets, custom alnico V single-coil pickups, three-saddle bridge and vintage-style tuners. 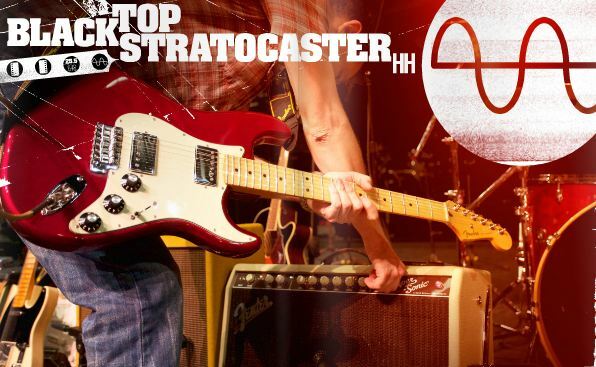 Squier’s new Bullet Strat with Tremolo HSS (Humbucker, Single, Single pickup configuration) is a simple, practical and affordable guitar designed for students and beginners, with classic styling that includes a slim body profile, maple neck with 21-fret rosewood fingerboard, single-coil neck and middle pickups, humbucking bridge pickup, five-way switching and synchronous tremolo. Keep an eye out for the best price.